Janice White has been a music-lover all her life. As a young child she enjoyed singing. In third grade she began playing piano, and later she became a clarinet player in her school band. At home, she says, she “drove everyone nuts” playing orchestral music on the record player and practicing for performances. In 8th grade Janice attended Old Mission Junior High. Old Mission was a newer school and was fortunate to have a range of new instruments available for students, including some that no student was yet able to play. Because her music teacher determined that her hands had a large enough spread for the job, Janice volunteered to take up playing bass (after just a moment of hesitation when she realized how big it was!). In college Janice added another instrument to her arsenal when she took up playing the cello. Then, in a world where women’s options were limited to being a teacher, nurse, or secretary, she chose to become a teacher as that profession aligned most closely with her love of music. She taught junior high orchestra, high school band, choir, and music theory. 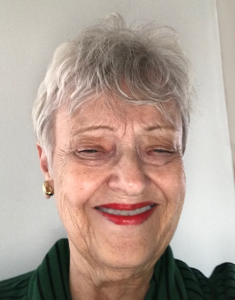 Janice has now been teaching piano in the Kansas City area for 54 years; she has taught the children and grandchildren of some of her students! She also teaches cello and has taught clarinet, guitar, and bagpipes (but only the chanter!). She first joined the Kansas City Civic Orchestra in 1967. In 1973 she took a hiatus when her first child was born, then returned to KCCO in 1987. In addition to serving as her vocation, music has afforded Janice the opportunity to perform in many different venues, learn different kinds of music, and meet a large, diverse group of friends. Janice can’t remember – or imagine – ever not having music in her life.